In 2009, UMOM Women’s Auxiliary founded The Walk for Homeless Families to help spread community awareness about family homelessness and to raise funds for UMOM. The walk is a family-friendly, fun and inspiring way to help UMOM break the cycle of homelessness. 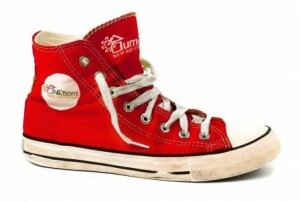 Put on your walking shoes and join us for the 8th annual UMOM Walk for Homeless Families! This year’s walk will take place at the Phoenix Zoo. Registration begins at 6:30am and the run/walk begins at 8am. Early-bird registration is $25 for adults and $20 for students until September 8. Children under 3 are free and do not need to register. All registered walkers, in attendance, will receive FREE admission into the zoo that day and a t-shirt! Look for more information in upcoming bulletins, email Sheronna Johnson or stop by the Missions Committee table on Sunday mornings to register or get additional information.